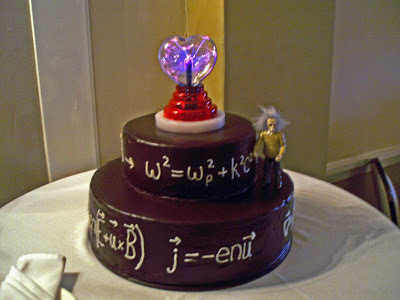 The formula that Jeff wrote out and gave to the baker to put on his wedding cake is the frequency of light in a plasma! Cool!! Next Next post: Light in a plasma cake!